There is a restaurant just a few seconds away from Ilford station which provides reasonably tasty Indian / Pakistani food. It is called Spice corner. When you come out of Ilford station's exit, walk to your right and it should be after a few shops. I usually get lamb biryani from there. 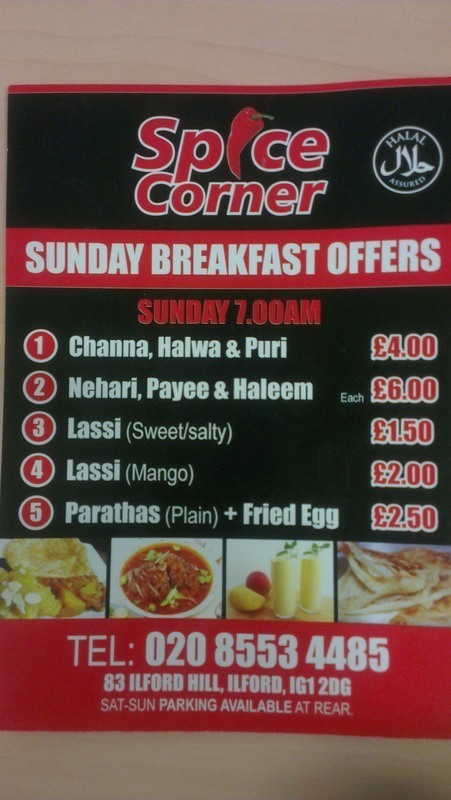 But they also sell chicken curry, lamb curry, veg curry, green saag curry, nihari, haleem, kebabs, nans etc. They have a eat in facility with TV. It is not a very sophesticated or classy restaurant but its not bad. They don't take much time to prepare your order. 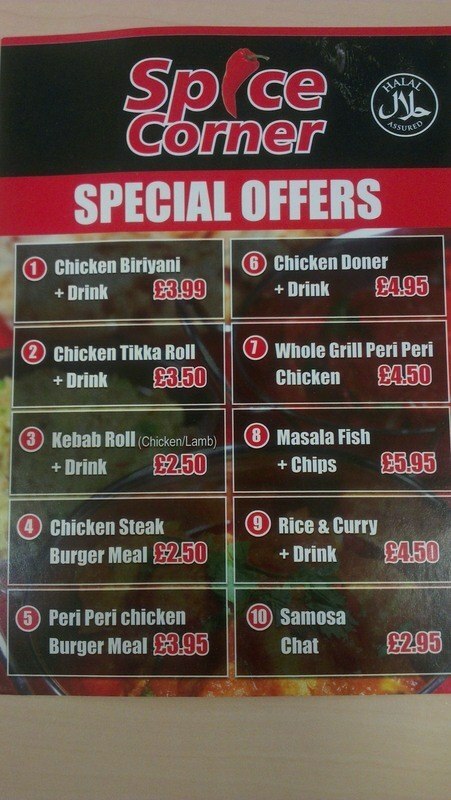 Usually a chicken/lamb biryani or chicken/lamb curry with rice is for about £4.50. I guess the people who work there are Pakistani and the owner might be a Pakistani as well. It should be open until 11 PM I guess because when I finish my afternoon shift at about 10 PM and leave Liverpool Street station by 10:20 or 10:30, and Reach Ilford station by around 10:45, it is still open.